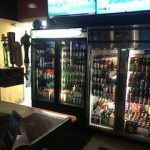 Located on the west side of the valley, inside this bar and grill you will find everything that you need. From beer, food, games, TV’s and an outside patio area, you will not be disappointed. This was the setting for the Royal Union of Fantasy Football ( yes RUFF ) draft party for the 2017 season. 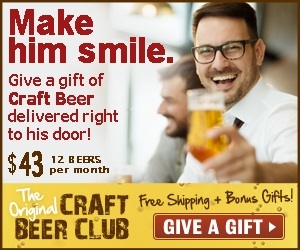 With a large cooler of beer bottles and over 25 beer taps, your beer needs will be easily met. 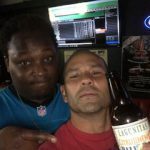 You will find local Vegas brews such as Lovelady and Bad Beat. As you can see I started with a nice California bottled brew by Lagunitas, their seasonal Citrusinensis. 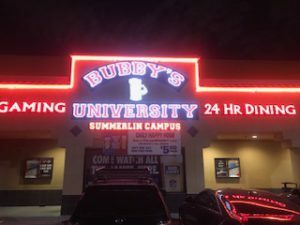 Inside Bubby’s you will find two bar areas, one with gaming and one without. Both bars are full size and all brews are available at both of them. If you are there to catch some games for football season, you will find that there is not a bad seat at all. 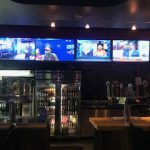 Over 40 TV’s are available to watch and every football game will be on. Two happy hour times are available, the traditional 4 – 7 pm and for your swing shift people, 12 – 3 am. A pretty extensive food menu includes burgers, pasta, dogs, salads, pizza and even Mexican food section. One of my favorite parts of the menu are their piled high tater tots. They come in 6 different ways including the pizza tots, which are covered in marinara, pepperoni and mozzarella. 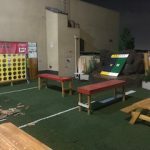 Make sure to check out their outside patio area that has plenty of seating and full size games to play. 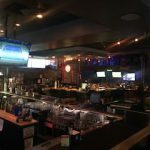 So next time you find yourself on the west side of Vegas, stop in, grab a cold brew, some good food and catch a game or two.